What do you do for Valentines Day? Is it just a plot by the companies that sell flowers, candy and cards? It seems like men think it is a burden and women never seem satisfied. So what’s it all about. St. Valentine’s Day is named for a Christian martyr and dates back to the 5th century, Valentine’s Day gradually grew in popularity to mark the day lovers began to exchange love notes called ‘Valentines’ with their sweethearts. In the beginning the trend was to send handmade cards but this was changed in the beginning of 19th century and mass-produced greeting cards caught the fancy of the people. In the course of time, Valentine’s day came to be regarded as the festival that celebrates love and not just romantic love. 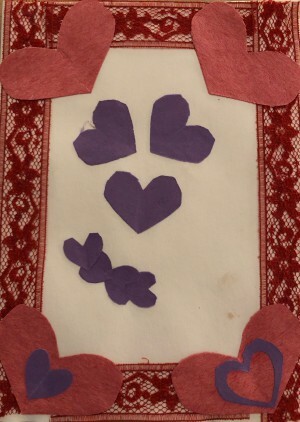 Today, Valentine’s Day cards are gifted to teachers, parents, friends, siblings and sweethearts. Popularity of Valentine’s Day has spread in countries across the seven continents and is still increasing by the year. I like to think it is another opportunity for you to let your loved ones know how much you appreciate and love them. So Happy Valentines Day! Posted by Maryclaire Mayes on Wednesday, January 30th, 2019 at 06:04 and is filed under General.